As remodeling contractors we work with color all the time because it is an essential part of any remodel project. We also know that everyone has preconceived ideas about color. This is to be expected and not at all a bad thing. However, before they make color selections for their remodel project that they might later regret, we encourage our clients to gain an understanding as to why they and other people feel about color the way they do and how color may best be used in creating the desired effect in their remodel project. So we have set out here a fairly comprehensive outline of the subject. People have been affected and intrigued by color and its use throughout history. Many thousands of years ago they used primitive earth pigments and charcoal as colors in the paintings that decorated the walls of their caves. But it was not until the 17th Century and Isaac Newton (1642 – 1726) that color received scientific definition. Newton used this diagram to document his experiment showing a ray of white light divided into its component rainbow colors by one prism and then reconstituted into white light by a second prism. This was revolutionary because the prevailing theory at the time was that color was a mixture of light and dark and that a prism in some way simply added color to light. Robert Hooke, a contemporary of Newton, subscribed to this theory and placed color on a scale from brilliant red, which he held to be white light with the least amount of darkness added, to dull blue, which he held to be the last stage before black, at which point light was completely extinguished by darkness. Newton’s use of the second prism to reconstitute the visible color spectrum back into white light effectively proved this theory false. Newton’s practical bequest to artists and designers was his arrangement of colors around a circle. The diagram (below left) shows the primary colors (red, yellow and blue) placed opposite their complementary colors. It shows how primary colors mix to create secondary colors and how secondary colors mix to create tertiary colors. Newton’s circular diagram of colors became the “color wheel,'” with which we are all familiar. Entomologist Moses Harris produced a version of the same color wheel (below right) in 1766. In the 19th century Johann Wolfgang von Goethe (1749 – 1832), the German writer and scientist, studied the perceptual effects of color. Goethe introduced “Gestalt” to contemporary German thought, as the concept of self-actualizing wholeness in organic forms. So for Goethe optics and perception were opposite ends of single dynamic unity. He produced his own color wheel. While Newton regarded color as an objective physical phenomenon visible to the eye, Goethe viewed it as subjectively observed. Goethe sought to derive laws of color harmony and ways of characterizing the ways in which colors affect us. He divided colors into the “plus side” and the “minus side.” “Plus” colors, such as red and orange, tend to generate feelings of warmth, while “minus” colors, such as blue and green, generate feelings of coldness. It might be said that while Newton was about the cause of color, Goethe was about its effect. Under the influence of 19th century Romanticism, artists saw color as a tool to create emotional impact in depictions of reality. Then, under the influence of 20th century Modernism, they began using color to represent feelings and movement rather than reality. Swiss theorist Johann Itten (1888 – 1967) was one of the first to define ways of using color combinations and the contrasting properties of hue successfully. He explored “successive contrast.” This is the phenomenon where the human brain creates complimentary afterimages of the colors it observes. An example of this is the green afterimage experienced after gazing at red. Itten demonstrated that people instinctively react to color harmony and discord. He found that color on its own (that is, without representing any particular object) can create dynamic perceptual experiences. The shortest visible wavelength is what we see as violet at about 380 nanometers (nm). The longest visible wavelength is what we see as red at about 760 nm. The wavelengths that fall between them contain the other colors. The wavelengths on either side of them (infra red and ultra violet) are invisible to the human eye. When we see color in an object, such as a red apple, it is because the apple has absorbed all wavelengths except the 760 nm wavelength, which it reflects. Objects that are white in color are objects that reflect almost all visible wavelengths. Objects that are black absorb almost all visible wavelengths. This is why black objects tend to get hot in sunlight but white objects do not. The physiology of color perception shows how subjective it is. Color is truly in the eye of the beholder since no two pairs of eyes see color in quite the same way. There are two main theories for our perception of color. They appear to work together. Trichromatic Receptor Theory – Thomas Young (1773 – 1829): Young and later scientists hold that there are only 3 types of color receptors or cones in the retina of the eye. ‘S’ cones are most sensitive to the 445 nm wavelength, or the color blue. ‘M’ cones are most sensitive to the 535 nm wavelength, or the color green. ‘L’ cones are most sensitive to the 570 nm wavelength, or the color red. Opponent-Process Theory – Ewald Hering (1834-1918): Hering and later scientists hold that certain pairs of colors are never seen together in the same place and at the same time. For example, there are no reddish greens or yellowish blues. On the other hand there are yellowish greens, bluish reds, and yellowish reds. Hering also observed that there are distinct “complementary” patterns in the color of afterimages. If one stares at the white dot in the middle of the left hand picture below for about 30 seconds and then shifts gaze to the black dot in the right hand picture, the complementary colors appear and one sees the American flag. Like the trichromatic receptor theory, the opponent process theory posits 3 types of receptors. Each type is responsible for a pair of opponent color processes: a blue-yellow, a green-red, and a white-black, with one color on one end and the other on the other end. Thus blue light will excite the blue-yellow pair toward the blue end. Yellow light will excite the same receptors toward the yellow end. When both blue and yellow lights are present simultaneously, one sees gray only because blue and yellow cancel out the perception. Our perception of color is also influenced by factors beyond the physical stimulus of what we perceive as color and the physical characteristics of light. Examples of these factors are familiarity and past experience. Karl Duncker (1938) found that green paper cut in a leaf shape is perceived to be greener than the same green paper cut in a donkey shape. This is because leaves are typically green but donkeys are not. Therefore, we can conclude that sometimes previous associations of color and form have a strong effect on perceived color. Our perception of color influences our daily lives and the way they are managed and organized. This is why traffic signals are uniformly colored. Traffic signals rely on a person’s ability to memorize colors and associate them with certain functions. In the world of retail business people become familiar with the colors associated with brand name items. Learned perceptions and memories of color may also account for differing associations and values put on color by different societies and cultures (more on this later). While wavelength explains the physical dimensions of color as visible light, there are also psychological or perceived dimensions. These are defined as hue, saturation and brightness. These concepts are quite well explained if we suspend an inverted cone from Newton’s color wheel, which displays the red and violet ends of the visible spectrum in a circle. Hue is the actual color of an object. Most people use the two words interchangeably. The physical dimension of hue is wavelength. Hue changes as the wavelength changes. Hue is measured in angular degrees starting with red at 0 and moving to yellow at 60 and green at 120, etc. Saturation measures the physical dimension of spectral purity and tells us the amount of hue that we see in an object. It is measured in percent from the center of the cone (0%) to the surface (100%). At 0% saturation, there is no visible hue. At 100% the hue is pure. In physical terms, saturation is related to the complexity of the light wave. If the wave is a simple sine wave, the hue appears saturated. The pure color generated by a single wavelength is called monochromatic color. Since saturation is the purity of the hue, the colors on circumference of the cone are fully saturated and in their purest form. As they move towards the center, they become desaturated. Desaturation means that the colors become pale or weak. This is not at all the same thing as becoming lighter. Brightness is often referred to as “value.” It is another psychological dimension of color. The more intense the light, the brighter an object appears. Brightness is measured in percent from black (0%) to white (100%). At 0% brightness, both hue and saturation disappear. Thus brightness tells us how light or dark a color is based on how close it is to white. For example, yellow is lighter than blue which in turn is lighter than black. Therefore, the value of yellow is higher than blue and black. Chromaticity refers to the hue and saturation of an object, independent of brightness. It represents the color that something actually is. The red of a red apple looks different in a dark kitchen than in a kitchen with the lights on. But is still the same color red. A tint is formed when white is added to a hue, increasing lightness. Very light tints are sometimes called pastels, but any pure hue with white added to it is a tint. A shade is created when black is added to a hue, reducing lightness. The word is often incorrectly used to describe tint or tone. Shade only applies to hues made darker by the addition of black. Tones are created when gray is added to a hue. Tones are generally duller or softer-looking than pure hues. Color theory holds that the primary colors are red, yellow and blue. These are the 3 pigment colors that cannot be mixed by any combination of other colors. Thus all other colors are derived from these three hues. The 3 secondary colors (green, orange and purple) are created by mixing 2 primary colors. Another 6 tertiary colors are a combination of a secondary color and a primary color next to it. They include yellow-orange, red-orange, red-violet, blue-violet, blue-green and yellow-green. Color families are a useful division of the color wheel into warm, cool and neutral colors. This follows Goethe’s concept. While it is certainly possible to create designs that pull colors from all three families, most designs are going to reflect an overall feeling of warmth, coolness or neutrality, which would be enhanced or reduced by light or dark. Warm colors are variations of yellows, reds and oranges. They convey energy, passion, happiness, vitality, enthusiasm and excitement. They are the colors of sunsets and sunrises, fire and autumn leaves. They evoke positive feelings in most people. Cool colors are blues, greens and lilacs. They convey calm, tranquility, and serenity. They are the colors of nature and water. Blue is the only primary color in the cool spectrum, which means that the other cool colors are made by combining blue with a warm color. Green combines blue and yellow. Purple combines blue and red. Cool colors evoke feelings of relaxation, calm, steadiness and reserve. White, black, gray and brown are neutral colors. They are commonly combined with brighter accent colors. But they can also be used on their own in designs. Black and white designs are elegant and sophisticated but hard to create. The meanings and impressions of neutral colors are much more affected by the colors that surround them than are warm and cool colors. For this reason neutral colors often serve as a backdrop or distinguishing detail in a design of warm or cool colors. Light or dark translate into spacious or cozy. Light colors reflect light and make a room feel larger. Dark colors absorb light and make a room feel smaller. The color wheel is a tool used to make colors look good in many applications. Human experience has identified color combinations that are particularly pleasing. This experience has been analyzed and systemized into color chords reflecting the harmonious relationship of two or more colors in the color wheel. A monochromatic color scheme uses a single color in varying intensities of lightness and saturation. Here we have used black. Black, being the absence of light, is certainly not a color in the scientific sense. However, in the practical world it is, since one can get black paint. One may substitute any color on the color wheel to achieve a monochromatic scheme.The monochromatic color scheme is clean and elegant. It is easy on the eyes and has a soothing effect, especially with blue or green hues. While it lacks color contrast, it has visual appeal and balance. Colors that are opposite each other on the color wheel, such as red and green, are said to be complementary colors. This scheme is intrinsically high contrast and vibrant and must be managed carefully to avoid a jarring effect.It is best to avoid having complementary colors in immediate juxtaposition and to separate them by using white space or a transitional color. Another approach is to use warm colors against cool colors, for example orange against blue.Another approach is have one of the colors as dominant or background and its complementary color for accents. Analogous color schemes are created by using 3 adjacent colors on the color wheel. Normally one color is dominant with another in support and the third (perhaps combined with black, white or gray) as an accent. Contrast is important. Analogous schemes convey comfort and serenity. A triadic color scheme uses 3 colors that are evenly spaced around the color wheel. It is bold but balanced, providing both drama and harmony. As with the analogous scheme, it is best to let one color dominate and to use the others for accent. The split-complementary color scheme is a variation of the complementary color scheme. It uses the 2 colors on either side of the complementary color. This provides the same bold contrast as the complementary scheme but with more nuance and less tension. The tetradic (double complementary or rectangular) scheme uses 4 colors arranged into two complementary color pairs. This scheme is difficult to bring into harmony and, as with the other multi-color schemes, one color should be allowed to dominate. Warm and cool colors should balance. The square color scheme is similar to the rectangle, but with all 4 colors spaced evenly around the color circle. The same care should be taken to let one color dominate and find balance between warm and cool colors. We have mentioned Learned Color Perception. We live in an increasingly diverse society and, as remodeling professionals, we must pay attention to those of our clients whose perception of color in the home may be influenced not only by personality but by another culture. So in laying out the principal uses of the various color families in design, we have also made reference to just some of the known cultural significance and symbolism of individual colors. Color has such an ingrained impact on our perceptions that it can literally “color” how we view something and our next action. Red in DesignRed is a powerful color. It has been shown to have a physical effect, such as raising blood pressure and respiration rates.Red can have an overwhelming effect on a design. In its purest form it should be used sparingly and as an accent. For example, a little red can add warmth to a room that is using a palette taken from the cool color family. It can also add drama when used in a small space like a powder room.Red and black is a classic and very dramatic combination and definitely not for the faint of heart. On the other hand, in shades of merlot or rust and used with other colors red is very versatile and can impart great warmth to a color scheme, whether the style is contemporary or traditional. Red in CultureIn the western world red is the color of love (Valentine’s day and Cupid), passion and sacrifice, anger, danger (stop signs), importance (red carpets), violence and warfare.In China red is the color of good luck and prosperity (Chinese New Year), vitality, happiness and long life. In India red is the color of wealth and opulence, purity, fertility, love and beauty. It is used in wedding ceremonies and is the sign of a married woman. It is the color of fear and fire.In South Africa red is the color of mourning. For Australian Aborigines it is the color of the land, earth and ceremony. Orange in DesignOrange is like red in that the brighter it is the more sparingly it should be used. It is a vibrant and energetic color associated with sunshine, health, vitality and the citrus fruit of the same name. In its more subdued forms it is associated with the earth and autumn.Like red, orange demands attention but is friendlier and more approachable. In its variations of peach, apricot, and terra cotta, orange can add happiness and warm invitation to a color scheme without being over dramatic. Orange in CultureIn the western world orange is the color of energy, creativity, happiness and affordable or inexpensive items. It is (with black) the color of Halloween. It is a religious color for Irish Protestants and the color of the Dutch royal family.In the eastern world orange is the color of happiness and spirituality. In Eastern philosophy, the Orange Chakra is in the abdomen and is the creative center. Yellow in DesignYellow is the brightest and most energizing of the warm colors. It adds optimism and prompts feelings of happiness. It is an uplifting color believed to stimulate memory and the nervous system, promote communication, and spark creativity.Yellow is a difficult color to use because, perhaps more than with any other color, the same shade can look very different under different light. On the other hand it is very versatile in creating mood. A light yellow is calmer than a dark yellow. A muted yellow becomes a soothing neutral color. A pale yellow can enlarge a small room and simultaneously make it feel good.Dark yellows work well with natural wood and can help create a sense of permanence. Soft yellows are often used as a gender neutral color in a baby’s nursery. Yellow in CultureIn the western world yellow is the color of sunlight, cheerfulness, hope (yellow ribbons), spirituality, and enlightenment. It is also the color of cowardice, deceit and illness (jaundice).In Japan yellow means courage and nobility. Buddhist monks wear saffron yellow robes. In Egypt yellow is the color of mourning but elsewhere in the Middle East it represents prosperity.In China yellow is the color of royalty and respect. During the 1800s the best graphite in the world came from China and this is why, since the 1890s, American pencil makers have made that regal association by painting their pencils bright yellow. In the western world blue is associated with trust and authority, peace and calm, depression and sadness. It is a masculine color, the color of baby boys. Although in a religious connotation, it is the color of the Virgin Mary’s robes.In China blue is associated with immortality and is a feminine color. In Korea it is the color of mourning.In the Middle East blue is the color of protection and wards off evil. In the western world green is the color of spring, new birth, kindness, loyalty and good luck. It is most famously associated with Ireland and shamrock. It is the color of “go” at traffic signals. It is also the color of money, greed and jealousy.In China green represents regeneration and hope. It is also the color of infidelity.In the Middle East green is the color of Islam, strength, fertility and luck. In North Africa it is the color of corruption and the drug culture. In parts of South America it is the color of sickness and death. Purple is regal and eccentric, moody and mystical, unconventional and creative.It is a difficult color to use in design. Depending on the tone or shade, it can be dramatic or quiet. However, painting an entire wall purple can overwhelm the contents of any room. So purple is certainly best used sparingly and as an accent.Purple can range from light lavender to solid plumb with an effect ranging from soft to stunning. For example, when combined with soft blues or greens or grays, the result is tranquil. When combined with mustard yellow, the result is lively. In the western world purple has long been associated with royalty and rank, cruelty and arrogance, wealth and fame. It is the color of military honor (Purple Heart). It is inventive and outrageous, creative and artistic.In Thailand purple is the color of mourning for widows. In Japan it is the color of privilege and wealth. In India it is the color of sorrow. In Catholicism and Brazil it is the color of death and mourning. In the western world white is associated with purity, cleanliness, and virtue. It is the color of the bride’s gown on her wedding day. White is associated with goodness and angels and is also associated with doctors, nurses and dentists. White is the color of peace (white doves). In the wild west the good guys wear white, the bad guys wear black.In the eastern world white has mainly different connotations. In China it is the color of death and mourning. In India it is the color of unhappiness and is worn by widows. In Japan the white carnation symbolizes death. Many colors evoke emotions and feelings in humans of all cultures. Gray is not one of them but it does have connotations.In the western world gray is considered boring, dull or sad and is a color of formality and mourning. It is associated with age, as in “gray power” (the economic and social influence of the elderly). There is also the “gray eminence,” a powerful decision-maker or advisor who operates “behind the scenes” or in a non-public or unofficial capacity. It is also a medium between light and dark, as in “gray area.” The New York Times is the “Gray Lady.”In the eastern world gray is associated with travel and helpers. In Feng Shui gray is the color of yin, metal, dead, dull, and indefinite. Brown is almost universally the color of the earth.In the western world brown is healthy wholesome, practical and dependable. No doubt this is the reason that brown is the trademark color of UPS.In Feng Shui brown is yang, earth, industry and grounded. In India it is the color of mourning.In Nicaragua brown is a sign of disapproval and in Colombia the color is thought to discourage sales. Beige has very little cultural significance beyond an association with calmness, simplicity, piety and dullness.People of mixed race are sometimes described by themselves or others as beige.Beige was once the color of the New Zealand cricket team. These colors are largely associated with white and signify calmness, elegance and purity. Think Ivory Soap. We have provided quite a lot of the theory and background behind color. We have also set out the rules and practices developed over the years for the uses and combinations of colors. As professional remodelers, while acknowledging all this, we have to make suggestions to our clients about how to proceed in practice. We mention the 60:30:10 Rule in our article on Proportion In Design (see elsewhere on this site). It helps put color selection and application in context. The 60:30:10 Rule is an informal derivative of Phi and the Fibonacci Progression, in which a rectangle or spiral progresses smoothly from small to large and vice versa. It is a rule of composition used in art, photography and design, including interior design, to achieve a pleasing whole through a smooth, proportionate progression of elements. The rule is applied to room design, furniture layout, colors and accessories. Overall: 60% provides a theme; 30% provides contrast; 10% provides accent. Paint selection: 60% of a dominant color; 30% of a secondary color; 10% of an accent color. The room’s relationship to color of contents: 60% of the room’s color is the walls; 30% of the room’s color is the upholstery; 10% of the room’s color is in accent pieces. No more than 60% of the room is filled with furniture/accessories, leaving plenty of “white space” to relieve the eye. This is an entirely personal matter. Everyone has personal color preferences and a general idea of the colors they would want to use in their remodeling project. However, in choosing and using colors one should be aware of the effect that colors have on look, mood and feeling. The usual goal of a remodeling project is the creation of a space that will be comfortable for living and welcoming for entertaining. We are not looking to create a fashion plate for a trendy design magazine. A good starting point is to look at the space and your intended use for it and then imagine yourself in it. Ask yourself whether the space should feel spacious or cozy. The answer to this question will lead you in the direction of light or dark colors. Light colors reflect light and make a room feel larger. Darker colors close it in for a cozy feeling. Then ask whether you want to feel high energy in the space or tranquility. This will lead you in the direction of warm or cool colors. If there is plenty of natural light, both dark and light colors are appropriate for a space. If natural light is restricted or absent, then light colors should probably be preferred for the dominant surfaces. This is not a hard and fast rule because many dark surfaces look very rich under artificial light. The point is that available light must always be front of mind in the choice of material and color. Many people start by thinking about what color paint to go with in their remodeling project. This is a big mistake. At the beginning of a project, paint should be the last thing on your mind. The best place to start is with the colors of the dominant (and normally the most expensive) material components of your remodel. Typically these are flooring, cabinetry and counter tops. These are also the first items to be installed. The color of the cabinetry will dominate the kitchen and the bathroom. However, flooring may be the single item that is common throughout the home and ties everything together. The essential point is that, whatever your color preferences, the colors you choose for floor, cabinets and counter tops must all work together. This is where we encourage our clients to start. The colors of all other items, including plumbing and electrical accessories, hardware and paint, can be decided later. The reason for this approach is simple. No matter how well detailed one’s mind’s eye vision of a remodeling project is at the outset, it will change as the project takes shape. This is especially the case when the project involves the demolition or rearrangement of partition walls. Altering the space will change the perception of the space, its lighting and everything that goes into it. So once the basics of flooring, cabinetry and counter tops are decided and these items are actually installed, the rest should be allowed to take its course. Do not rush into the selection of other finishes and their colors. Important tip: Make sure your contract with your remodeling contractor allows you to delay your choice of finishes until absolutely necessary, even if it might mean a little delay in the work. You are spending a lot of money on your project. Do not waste it by allowing your contractor to push you into hasty and expensive finish choices that you may regret later. 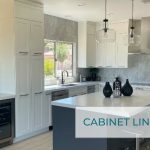 Aside from their practical use, electrical and plumbing finish items, and hardware and accessories are accent pieces whose colors and textures should complement your choices of cabinetry, countertops. Except for furnishings, the selection of paint colors comes last. This is after any alterations in the space have been made and after flooring, cabinetry and countertops have been installed. It can almost be guaranteed that designing a remodel around a preconceived paint color will turn out badly. Just look at paint as a way to visually pull cabinets, flooring and countertops together at the end of the project. By this time you will also have a good idea of what furniture you will be putting in the space. The clinching argument for the “paint last” approach is that paint is relatively cheap to change. Even at this stage it is rare for any single paint color or combination to work right away. Have your contractor paint a number of different walls with sample swatches of your candidate paint colors. We use different walls because different directions of light will make the same paint colors look different. Again, do not let your contractor rush you into a decision on paint color. And bear in mind that the cost of painting is overwhelmingly in the labor. So use the best quality paint for durability and the truest possible color.